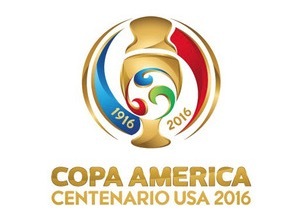 If you're not watching Copa America Centenario, you should start. There have already been some fantastic games (Argentina vs. Chile, anyone?). Tonight, USA is playing Costa Rica in a must-win match (after losing to Colombia last week). If USA doesn't win this, they'll be knocked out of Copa America and Jürgen Klinsmann will likely be in some extremely hot water (I mean, he already is, but this could be his final chance). USA vs. CRC is happening now, so if you're not watching, turn on FS1. Currently USA is ahead, but it's always dangerous to be ahead - can't get too comfortable!